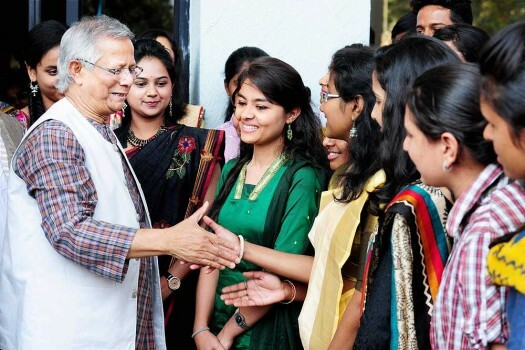 Nobel Laureate Prof Muhammad Yunus meeting the students during the Silver Jubilee Celebration of Seshadripuram First Grade College, in Bengaluru. 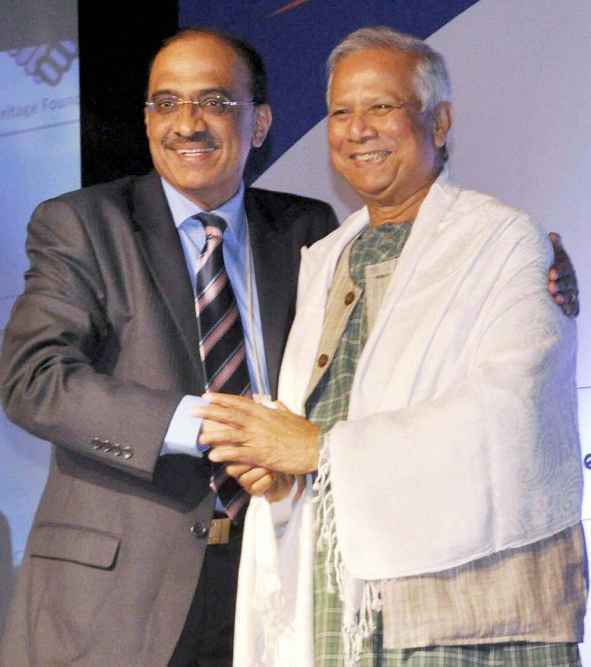 K. R. Gangadharan, President, International Federation on Ageing, felicitating Nobel Laureate Muhammad Yunus of Bangladesh at the 12th Global Conference on Ageing in Hyderabad. We get what we want, or what we don't refuse. If we firmly believe that poverty is unacceptable to us, and that it should not belong to a civilized society, we would have built appropriate institutions and policies to create a poverty-free world. It started when he lent some villagers 856 taka ($27) and said they could repay him whenever they could afford to. But he realised he had only provided a personal and emotional solution—what he had to do was to provide an institutional solution. It is not micro credit alone which will end poverty. Credit is one door through which people can escape from poverty. Many more doors and windows can be created to facilitate an easy exit. 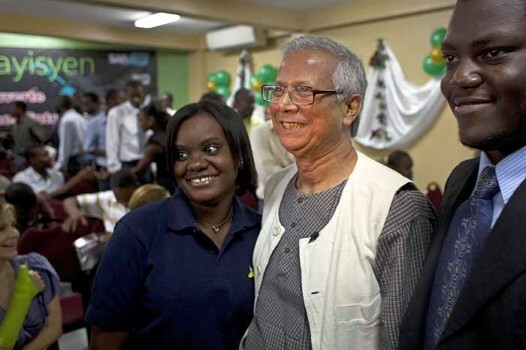 Muhammad Yunus and Grameen Bank founded by him are awarded the Nobel Peace Prize "for their efforts to create economic and social development from below"